The day I am waiting for is here! It's 30 November 2018. The day I officially 30 years old women. And, I wrote this post when I'm on my late twenty yesterday....haha, so actually this is my last post as twenty something girl. It's been 10 years since my 20s...whoaa! God is good! I'm thankful I finally come to this day and I'm thankful I reach this far. So, since it's been 30 years I'm on earth, I want to share my life experiences from my early 20s to now.Since this is my first ever post as a 30 years old women, I will share about advises( expected from me now..haha). I am REALLY big sister now. So, I think I can share with you guys what have I learned and experience. Without further due, please read more. You won't disappointed. I think these 5 things is very important in my life.So, I shared my experiences on these. I hope you can learn. Since this part will be take your most of your time, I will make it as first. - I don’t really have timeline or goal for my career( surprisedly, right?) . Why? I don’t know and I just go with the flow. After working 5 years, then I figure out, I need to have one. It's quite late to be honest.But, on the positive side, it's never too late, right? But, I don't want you guys to repeat this mistake/regret.So, find out what you should do on below. - Before you graduating, you always know what's your aim. I mean what's your goal when you go to work field. - Need to have proper timeline of your career.If you don't know, google "how to make career planning?". - Never stop learning and improving yourself.One of my friend said to "Aim for improving". - Respect and listen to people at work. I can called myself an expert when its about dream. I talked a lot about dream on my blog. One of my favourite motto was " Dream big and work for it!". I am thankful this past 30 years, there's dreams that come true. Not because I am capable but because God is able and He always open the doors. But, I make some mistakes when come to dreaming. - Not focus, I have a lot of it. - Not work so hard on it, when challenges comes, I always take a break. It's not bad but the world is moving fast than I think. - Know what you really want and focus! - if you don't know, try many things to discover it and focus on it.And, don't wait! The third one is very important! This one is have long term effect if you don't know how to deal with it at first place. - Not study hard and get first class degree so I no need to pay for student loan (PTPTN). - Not learning about money management during my study time. I should do that, not watch that Korean dramas. - I wish I never love fashion trends and buying so many clothes, bag, shoes that I don't really need or don't give any benefit to me. But, girls just being a girl. - Don't know how to use my credit card. - Pay the student loan. - Keep being curious, cari ilmu regarding money management.Equip myself about money before I make money. - Know how the credit card work and not just blindly use it, it's KILLING you someday. No one live alone in this world. One day, you will having a relationship with some people, maybe your friends, family or special one. For me, this part of my life always teach me hard lessons. - Enter and stayed in the uncertain relationship because I thought I will be happier and normal and we will make it. - Remember my family's birthday. - Learn the lessons.... it can't be help when you fall in love so if it's not working, learn and if it's working, thank you God. Up until now, I am still struggle with this part of my life. I am Christ believer. I am totally believe in God but there's time my faith is shaken due to my overthinking and some mistakes that I have done in my life. But, God always remain the same, love you and always welcome you no matter what. That's what I have learn about faith this past 30 years in my life. No matter what, God loves you. - Always think that Youth Ministry is something that not so important because I thought it's just bunch of people that trying to find their love of their life or just a group of people. Yes, I found mine here too...haha, that's weired! How God twisted me! haha. - Never really offer what I can do for this ministry. - Youth Ministry is very important for the church and I will never ever take this for granted now. It's not place to find jodoh but it's good to find one here. I told you, true man is the one that trust God in their life.Nothing can beat that. Find this kind of man! I never ever imagine the life that I lived now when I'm on my early 20s. We can't really predict the future but as time goes by, I have learned that, actually we can! We can predict the future.!! I am not kidding you. How? Look what you do now, what you do today is your future. So, do well today and you will do well in future.If it's not well yesterday, try do well tomorrow.Don't give up on yourself. Finally, being 30s is something big for me. 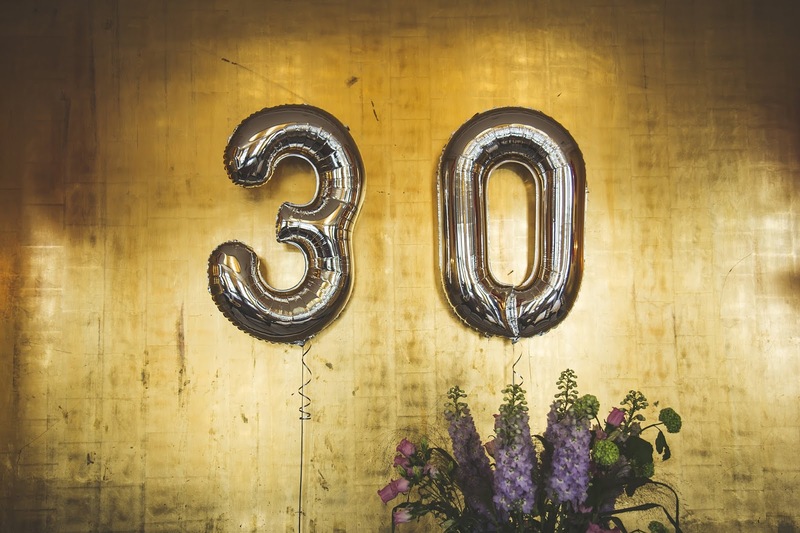 It's big 3-0! Wow... I hope and I choose to use my age (number) to empower young people, live my dream and ride the life journey with the one I love, Maclare.